In this class, 8th-grade students will be working in a variety of mediums to learn techniques that will help you as an artist. We will cover the elements and principles of design, art history, and basic art terms that will help students to build a foundation in art. A half-credit elective that is offered to students in grades 9-12. 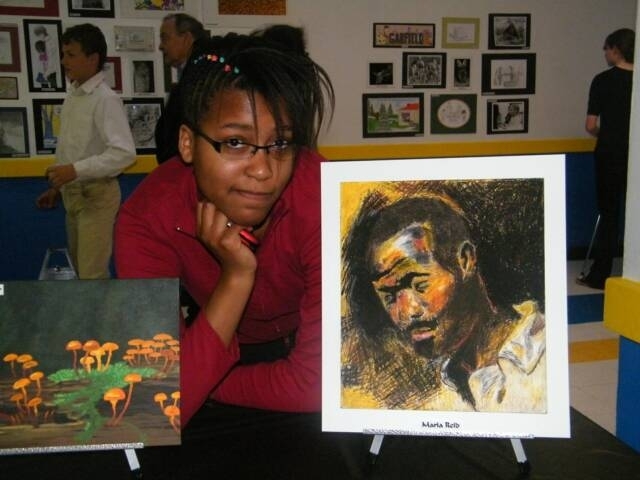 You will build upon your eighth-grade art knowledge and techniques while integrating original concepts and ideas. 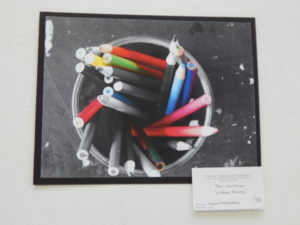 The focus will be on learning how to apply drawing techniques and developing them with a variety of mediums through project-based learning. A half-credit elective offered to students who have taken Basic Art and are in grades 10-12. In this class, you will be building upon your composition skills in a variety of material forms that will guide you in working more independently to create original self- expressive compositions. A one-credit elective that offered to students in Grades 11 and 12 who have completed Studio Art. During this class, you will use your art knowledge from previous classes to create a body of work. This class will assist you in developing an Art Portfolio that can be used for application for college. This class will assist you in strengthening your ability to communicate through and about your art through original self-expressive pieces with materials of your choice. A one-half credit elective course offered to students in grades 11 and 12 who have completed Basic Art. The goal of graphic design is for students to gain a basic understanding of computer software programs and integrate their creativity. Graphic design is a growing art medium that integrates image, form, and typography. In this class, we will look at how graphic design is used in the world around us today and how we can apply it as an art form. Students will work through design-based projects that will help them to develop their problem-solving skills. They will gain a basic understanding through projects focused on advertising, editorial design, typography, posters, and package design. As Christians, we can use graphic design as a tool to share positive messages with the world around us and share the talents and creativity that God has gifted to us. Students will explore technology with Adobe Photoshop, Illustrator, as well as through the use of the camera, computer, and scanner. A half-credit elective offered to students who are in Grade 12. The goal of Digital Photography is for students to learn about the influence of Photography throughout history and the impact that it has in society today. They will learn basic camera and editing techniques on Adobe Photoshop. Through this project-based class, students will explore different facets of Photography and be able to apply them to their own Photography.